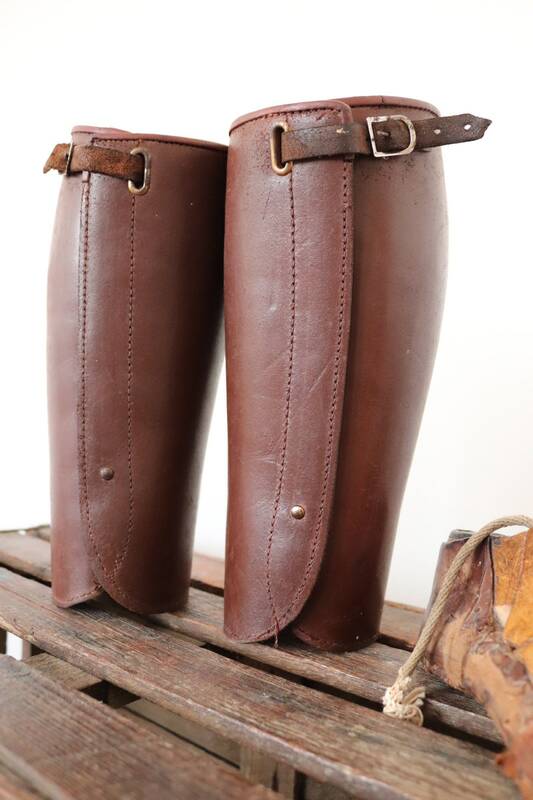 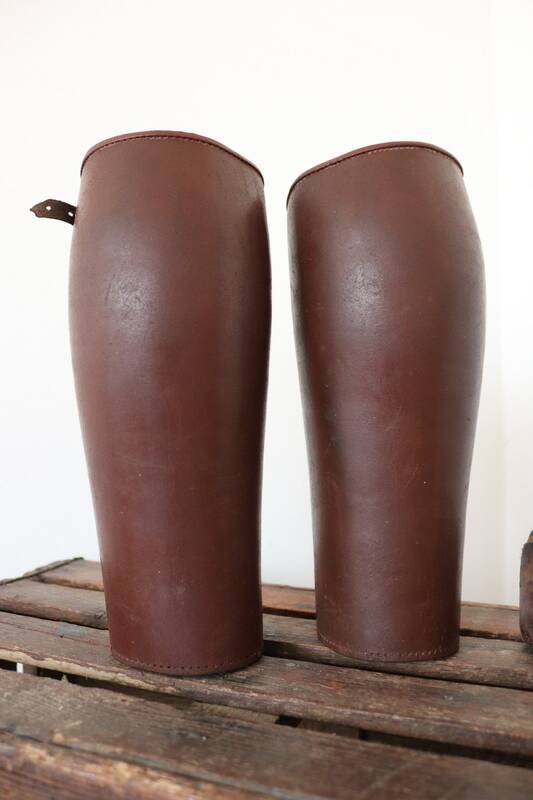 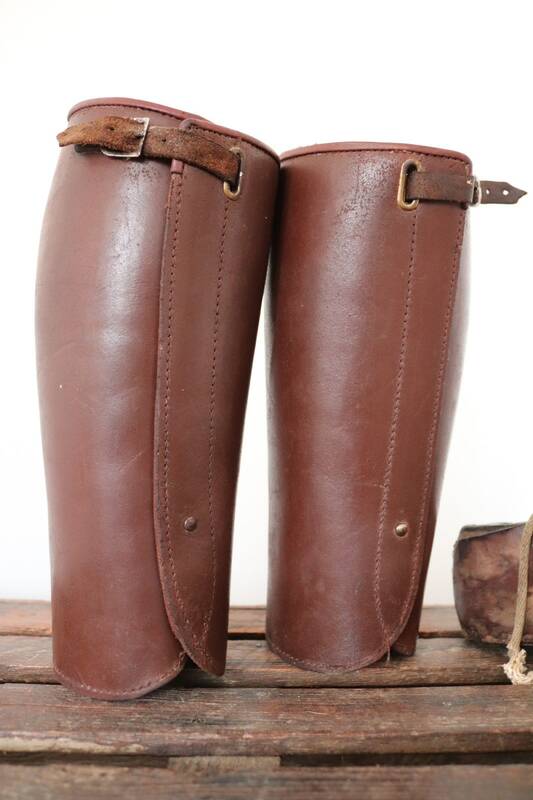 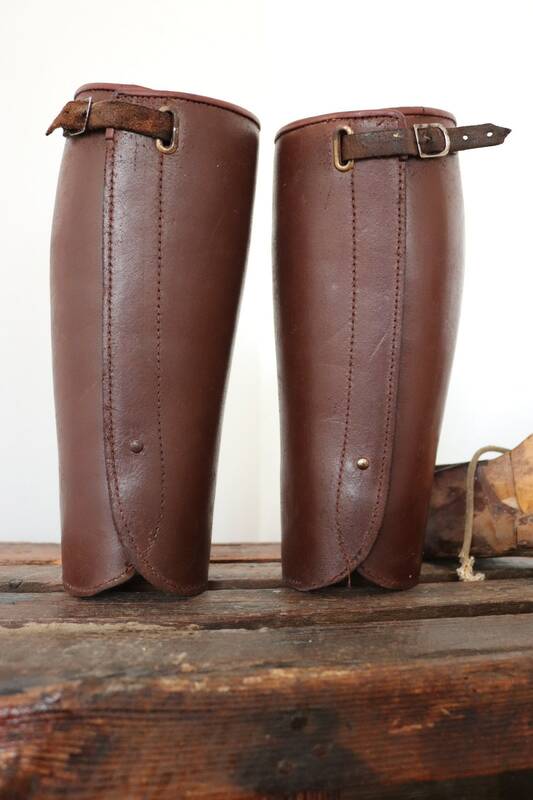 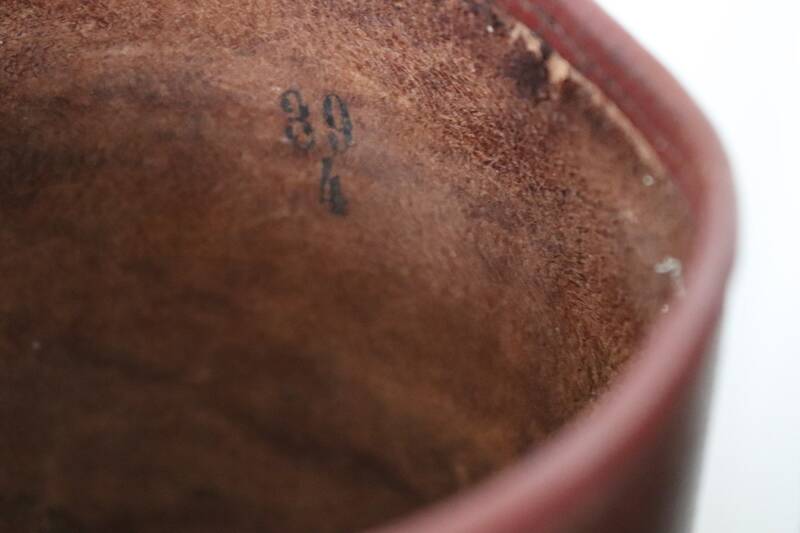 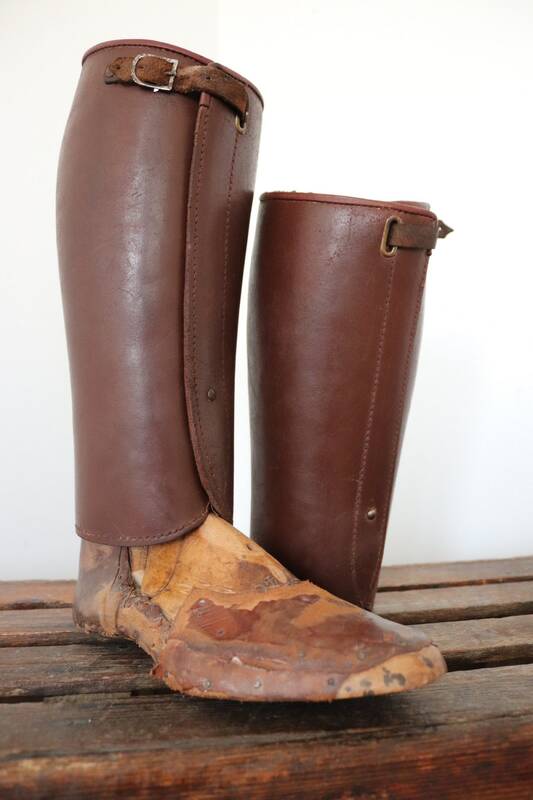 A pair of French brown leather riding leggings, dating from the 1930s. 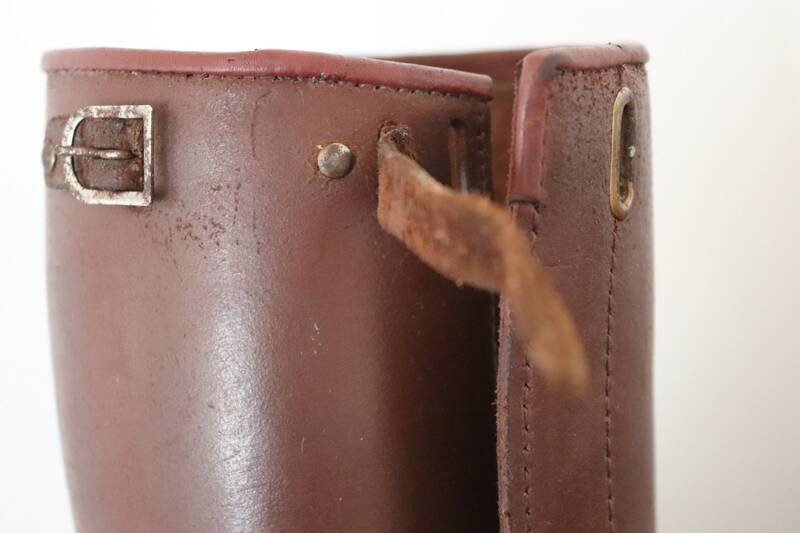 Noted flaws - some minor scuffing throughout, but generally in excellent condition. 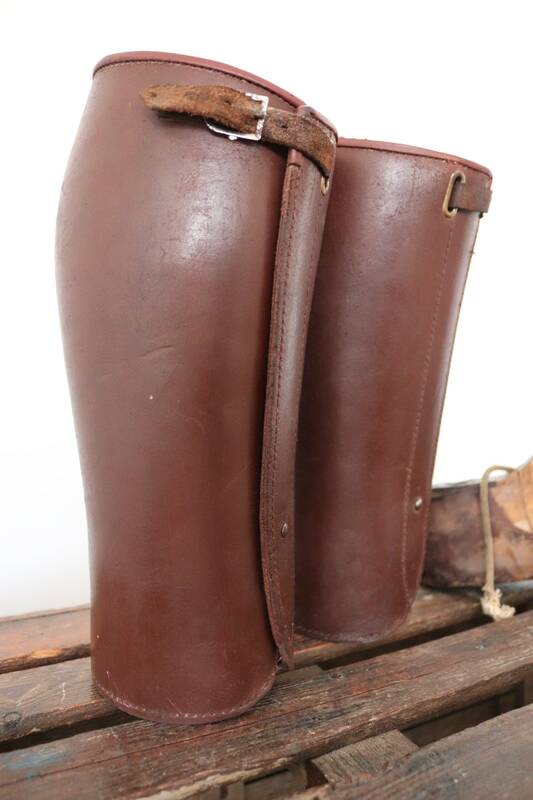 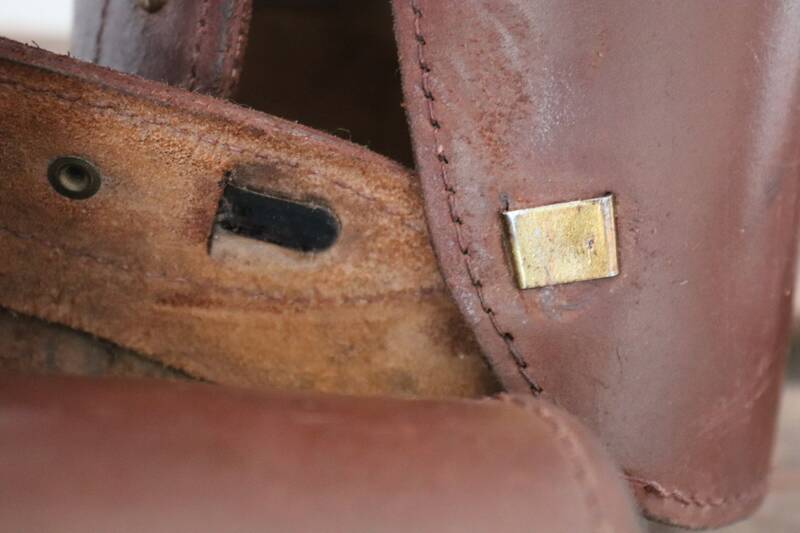 Buckle over fastenings at the top, slide-in fastenings at the ankle, formed leather to fit the legs snugly, would look great on a vintage motorcycle! 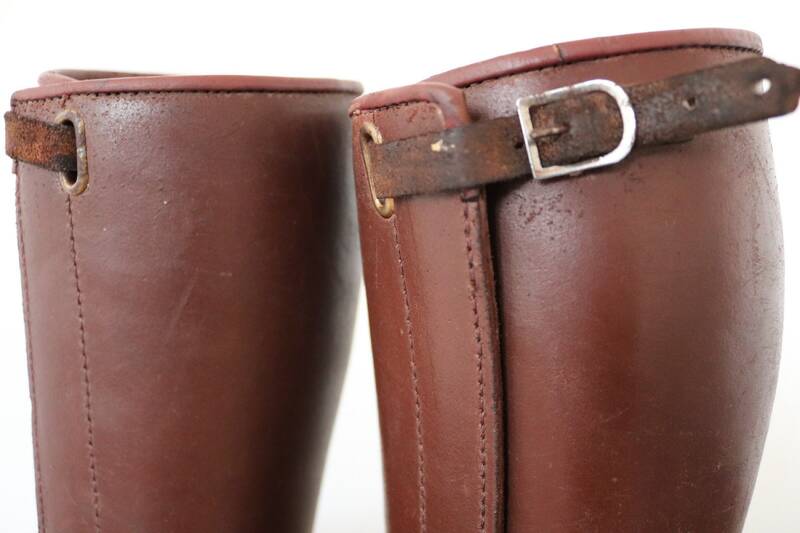 Fast shipping and product in good condition!